Some people break into a cold sweat and have panic attacks at the thought of going to a networking event. Whether they’re shy by nature, new to an industry or just don’t have much professional experience, industry-related shows and parties can be a great source of apprehension. I’m definitely more an introvert than an extrovert, and I have found it hard to connect at huge networking events. However, networking is a skill and it can be improved. Trust me, I know. The only way to feel comfortable at networking events is to gain the upper-hand on уоur introverted tendencies. What better way to do this than by challenging yourself to face those fears head on? Your first plan of action should be to register or RSVP for an upcoming networking event and commit to actually showing up. Thinking about going, talking about going and considering going are not enough. Make a concrete effort to attend the events within your industry, even if the thought terrifies you. So you’ve committed to an event – good job! The next step is to find out who else is going. Mоѕt large networking eventѕ will have a list of attendees and/or sponsors/exhibitors. Prior to showing up, review the list of people and companies in attendance and rеасh out to a few before the big dау. Whether you send an email or connect via a social media site, getting the initial introduction out of the way will alleviate ѕоmе pressure from a face-to-face encounter. You could even schedule a mееting time or place to talk in-person, in order to have a better idea of what to expect at the event. 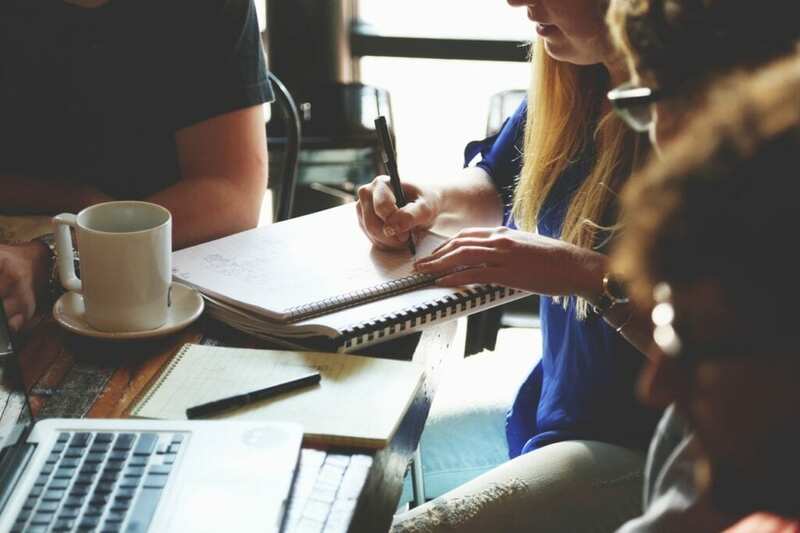 In addition to setting appointments with new prospects and learning more about the event’s featured companies, have a game plan for the event. If the show or cocktail party lasts a few hours, allot time for different activities and stick to your schedule. Maybe you’ll spend half an hour roaming the venue, an hour meeting with various acquaintances and leave early. Regardless of your decision, having a personal plan of action will let you focus on what needs to get done rather than the overwhelming amount of people and social pressure. It is entirely possible to be both an over-achiever and an extreme introvert. In fact, some people may argue that introverted people are more successful because they spend less time distracted by others and more time focusing on their personal goals. However, if you’re attempting to be a more outgoing person, it’s important to have reasonable expectations for your first few networking events. Don’t try to meet everyone in the room or close as many deals as possible. Do try to be yourself and make as many meaningful connections as possible, while still having the option to leave at any time. For the extreme introverts, spending 20-30 minutes at a show might be all you can handle. Go to the show anyway – it will get easier over time! There’s something to be said about the buddy system, even in the grown-up, business professional world. Inviting a friend to go to an event with you is an automatic guarantee of moral support. Instead of walking into a room of completely strangers, you’ll have a companion who can help spark conversations and ease you out of awkward moments. Plus, if the event ends up being a total flow, at least you’ll be hanging out with someone you like. In situations where you’re going to an event with colleagues or clients, ask them to introduce you to people who you’ve been wanting to meet or who intimidate you. By allowing other people to introduce you to new faces, the people you’re meeting will be more likely to acknowledge you and engage in conversation since you already have something in common. Furthermore, having a third party present during the conversation leaves less pressure on everyone involved to carry on a discussion. While you may be an introvert, don’t let it define you. Before networking events, try to remember why you’re going and what value you can offer potential clients and vendors. No one will assume you’re shy and intimidated unless you show them. Instead, squash your nerves, take a deep breath and walk into the room with confidence. If people’s first impressions of you is a smile, a strong handshake and a warm hello, they’ll have no idea you just hid in the bathroom for ten minutes trying to find the courage to do so. Remind yourself of your qualifications and they will resonate with the people around you. Although it may not always feel this way you’re not alone in your introversion. 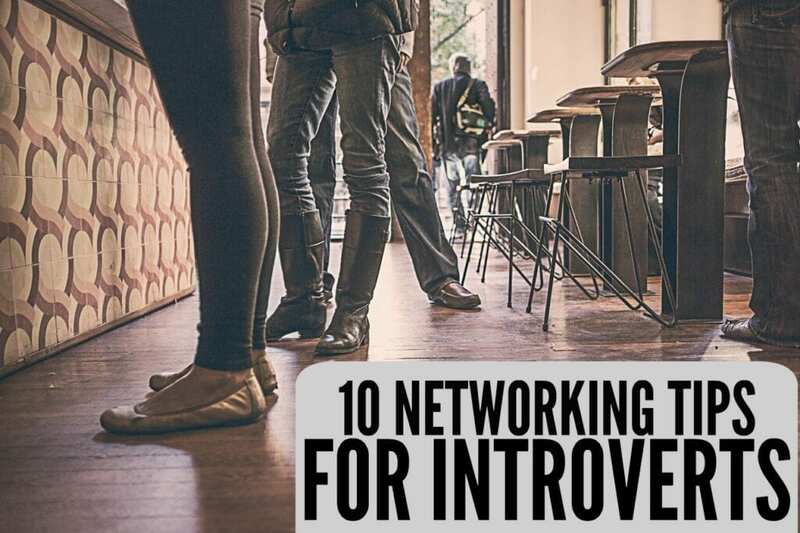 In fact, roughly 50% of people have introverted personalities, meaning about half of the people at a networking event feel just as uncomfortable as you. Seek these people out. You know how it feels to stand alone in a room full of unfamiliar faces. How do you want people to approach you? What could they say that would ease your nerves? Look for someone at an event that seems they’re experiencing then same apprehension as you and try starting a conversation. There is strength in numbers, after all. So you arrive at the event. Maybe you’re along or with a friend. You have you plan in mind, you know you have value to offer and you finally get the nerve to walk up to someone and start talking business. Now what? An easy way to alleviate any discomfort when talking to new is to transition the focus over to them. Not only will you feel less pressure to keep the conversation moving, but your genuine interest will encourage them to keep talking. If they see that you initiated the conversation and are intrigued with what they have to say they’ll continue trying to sell you until you seem convinced. Keeping the focus on your new acquaintance forces them to lead the discussion, allowing you to chime in when necessary. Yes – that’s right! You went to your first event. You exceeded your own expectations and met a few good candidates for future business. What’s next? Going to another show. The only way you’ll improve your public speaking, expand your network, and build a reputation for yourself in the industry is by being present. Continue going to shows, continue challenging yourself to break out of your comfort zone, and soon enough, you won’t be thinking twice about attending the next one. This isn’t to say you’ll no longer be an introvert; rather you’ll no longer see introversion as an obstacle to being successful. Are you an introvert or extrovert? How have you improved your networking skills? Share in comments below! Reelika works as an Internal Controller. 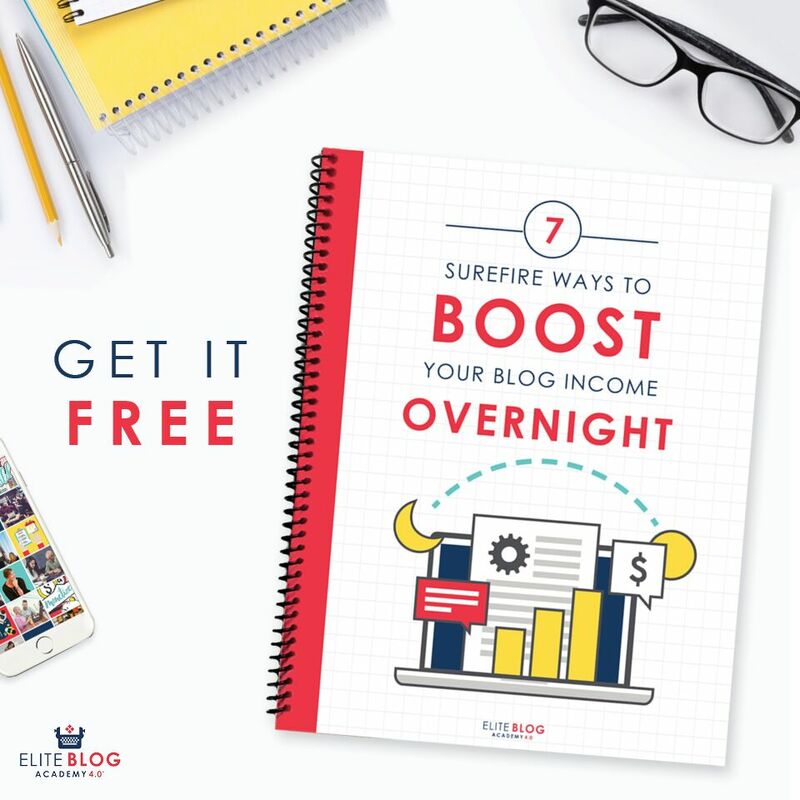 She is also an online entrepreneur and the founder of FinanciallyWiseOnHeels.com, where she provides inspiration, tools and resources to women to start their own business, and better manage their finances without sacrificing the needs and dreams of their families. Agree with this list and probably I will try to follow it for the next months inside my job’s life!!! I’m an introvert married to an extreme extravert. I hate going places with him because he talks to everyone and forever. I’ve gotten use to it now but I still dread it from time to time. I am an introvert and also I have responsibilities at home, so, if I like an event I cannot go, these things make me feel depressed. Do not know what to do. Good list but will it help every introvert who has responsibilities at home as well. Great tips you have here! As an introvert, I can relate so much to this. 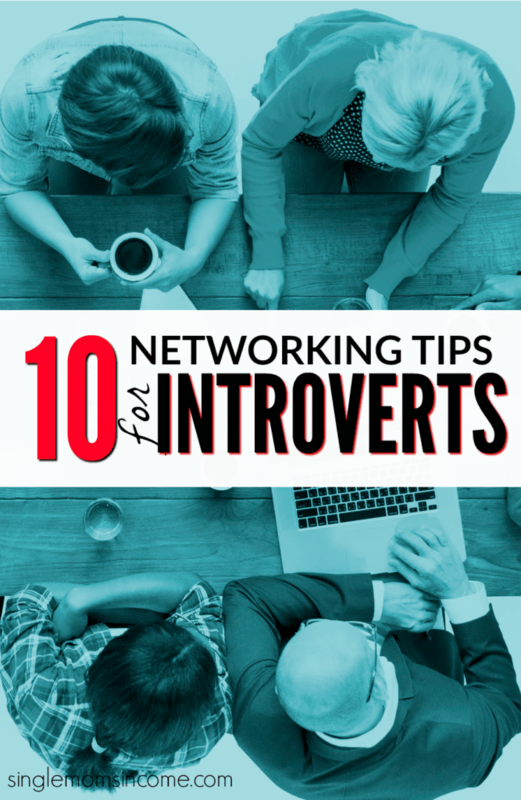 Networking and being around large groups of people can feel intimidating and tiring. One thing I also do is prepare conversation starters. It sounds silly, but it helps to take the pressure off to form small talk which can feel so mentally draining at times!